The most common, convenient and easiest way to provide electrical power to an appliance, tool or piece of equipment that cannot reach an outlet is through an extension cord. These highly common insulated and flexible devices are available in almost any sundry retail store, hardware, or home supply facilities. Consisting of an outlet, plug, and length of flexible insulated wiring, extension cords are used in most homes, businesses, industries, and construction. While providing a great benefit in supplying electricity to where it is needed, the common extension cord is one of the most abused and misused pieces of equipment. They are often used to supply a current exceeding their capacity, in conditions beyond their design and are more susceptible to damage than fixed wiring. Extension cords are a leading cause of electrical fires and can cause injury and death if used improperly. • 3,300 residential fires killing and injuring over 300 people – The most frequent causes of these fires are short circuits in the cord, overloading, damage or misuse. • 4,000 cord-related injuries treated in hospital emergency rooms. About half of these injuries are from people tripping over the cord. • $1.4 billion in property damage. • 1,100 electrical burns and 1,480 electrical shocks to workers. • A large percentage of work-related electrical accidents on construction job sites. • A large proportion of structure fires are caused by cord damaged or overloading. Obtain a licensed electrician to install power outlets in those areas where extension cords are used as permanent solutions. A heavy reliance on extension cords is an indication of too few outlets supplying electrical needs. Extension cords are only intended for temporary use, generally defined as not exceeding 90 days. Using an under-sized cord for the power demands (overloading) or using a cord not rated for the environment or the application for which it is to be used are very common mistakes. Overloading can cause a cord to heat up to the point that its insulation either melts or carbonizes creating a fire, burn or shock hazard. Extension cords are rated in many different ways. The first is where the cord is to be used. OSHA requires three- wire cords designed for hard or extra-hard usage. Hard-service cords are marked with letters such as S, SE, SO, ST. Light duty, or more commonly, ungrounded flat-wire cords cannot be used on construction sites or for industrial/commercial settings because they do not provide the same abrasion and electrical protection as double-insulated heavy duty cords. Light duty cords should never be used for powering multiple items at the same time, such as space heaters, toasters or hair dryers that have a high energy demand and those with exterior metal surfaces that need to be grounded. When buying extension cords make sure they have been certified by a nationally recognized testing laboratory such as UL, CSA, or ETL, and read the manufacturer’s instructions carefully to assure the cord will meet your needs. Extension cords should be selected based on the electrical current it will be required to carry (amperage or amps) and the length of the cord. Using a low amp rated cord for an application requiring a higher power demand will cause the cord to heat. The current carrying capacity of extension cords is determined by the diameter of the wire (gauge) and the cord length. Wire diameter and the number of amps it can carry increases with a decrease in gauge number. Cord insulation, particularly light-duty two-wire cords are easily damaged by being pinched between furniture and floors or walls or by being crushed or abraded by foot traffic exposing the energized wires creating a fire and shock hazard. The damage may not be easily visible. If the insulated metal wires are damaged, such as by the cord being crushed in a door, it can form a hot spot creating a fire hazard. For these reasons, the National Electrical Code does not permit cords to pass through wall holes, suspended or dropped ceilings, floors, doorways, windows or similar openings. Similarly, insulation of cords placed close to heating appliances may also be damaged, melting or burning it away. Worn, frayed or damaged cords should be removed from service and destroyed to prevent their re-use. The damaged cord should then be replaced with a new cord. Verify that the right type and length of cord is being used for the application, environment, and power demands. Check the outer jacket and cord end. If they feel warm or hot, immediately discontinue cord use. This may indicate overloading or internal damage. Internal damage may also be present if the outer jacket was pinched or crushed, the ends are damaged, or tape has been placed over the outer covering. 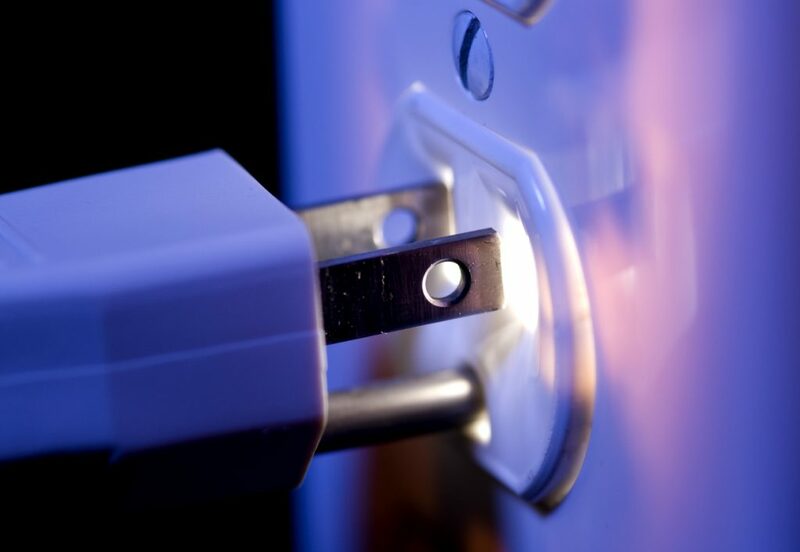 Extension cords provide a convenient way to deliver electrical power where it is needed. These valuable and common devices are also subject to significant abuse and misuse. Misuse and abuse can lead to fires and injuries. Cord users need to select the proper cord and use it safely to prevent these adverse outcomes. When in doubt engage your show’s electrician or contract out with a licensed electrician. Electricity and power are not to be fooled with, and as the statistics evidence above, it can lead to serious injury, even death. For more information about this topic or other risk, management ideas contact me at Dtewksbury@mcgowaninsurance.com. Be safe out there! « Bad Weather Is On The Horizon. Are You Prepared?